Spring came and with it the terraces, the flowers, the warmth of the sea breeze at sunset… Barcelona becomes spectacular in spring. 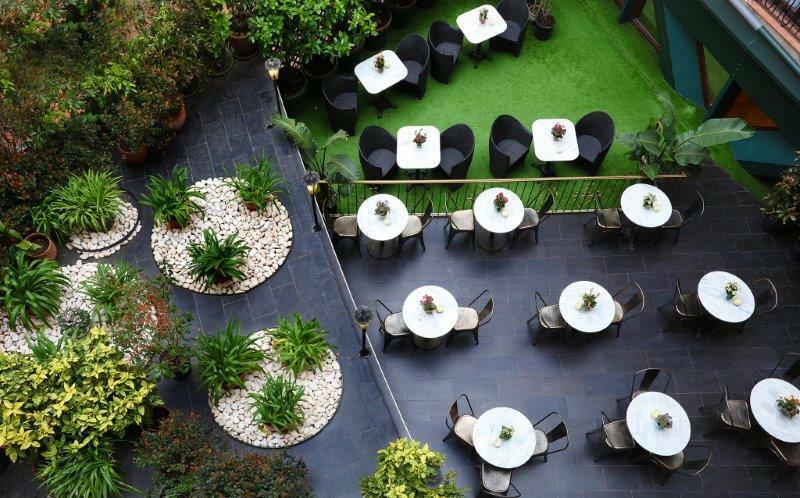 Enjoy the tranquility in our Garden in the continental hotel it will seem incredible that you are in the center of Barcelona. Sit down to have a drink on the balcony on the Rambla de Catalunya Centennial Hall of the Hotel Continental Palacete. From there you can enjoy the life avenue and the sun all day! 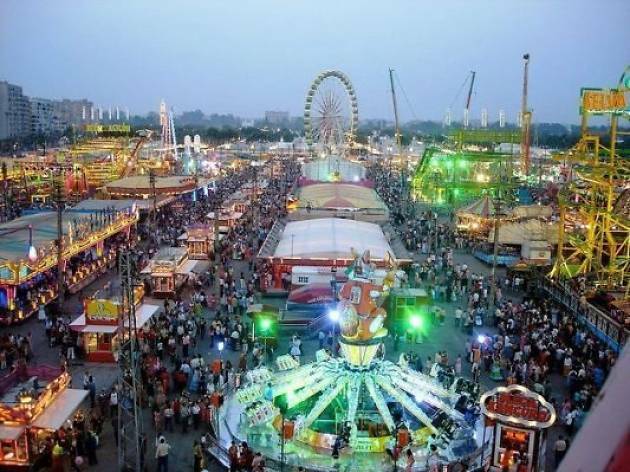 We are going to share with you in this post the greatest events that you cannot miss during this time of year in our city. Holy Week (April 14 to 21) begins with the traditional “Fira de Rams” that runs along the Rambla de Catalunya, where our Hotel Continental Palacete is located. 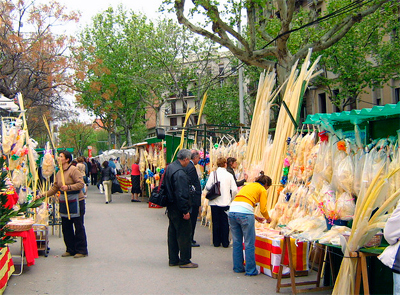 A boulevard of small stands of palms, palmons, laurel and all its ornamentation: little dolls, sweets, bows and garlands for children to prepare their palm or palmon in order to bless them on Palm Sunday. A way to commemorate the day when Jesus, Mary and Joseph triumphantly entered in Jerusalem. 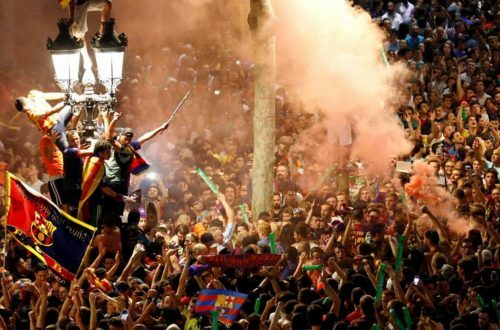 If you want to participate in the blessing celebrated outdoors by Parroquia de los Ángeles, you have to go to the intersection between Valencia Street and Rambla Catalunya on the April 14th at noon. Another important christian events celebrated during the Holy Week in Barcelona are the processions of Good Friday remembering Jesus death. Perhaps the most recommended is the one held in front of the Cathedral of Barcelona on Friday, April 19, starting at 8:00 p.m.
And of course on Easter Sunday, you cannot miss the shop windows of the bakeries with the traditional “Monas” that the godparents of baptism give to their godchildren on this day. Small chocolate monuments that are an authentic delight and wonder. We recommend you “La Pastisseria” (Aragón 228, 10min from the Continental Palacete) or the Escribà (La Rambla 83, 5 minutes from the Continental Barcelona) are especially original and exquisite. Sant Jordi (San Jorge in Spanish) is the patron saint of Catalonia. This day is celebrated because it commemorates the death of this Saint in the year 303 AD. Even though it is not a holiday, it is impressive as all of Barcelona is filled with stops of roses and books. It is tradition that lovers give away roses and books on this day. A perfect opportunity for your favourite writers to dedicate their books. Specifically in the Rambla de Catalunya and Paseo de Gracia, numerous tents are installed where the authors come to sign books and talk with their fans. 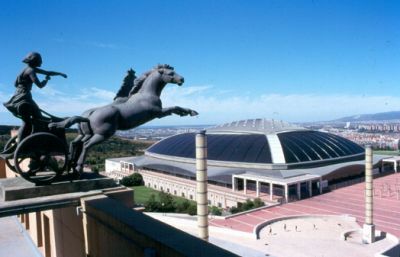 This event, organized by the Federation of Andalusian Cultural Entities of Catalonia, has been held since 1971 and was held for the first time in Castelldefels. You will find all the programming on its website here. If you like music and concerts, you must come for the Primavera Sound Festival of Barcelona (May 30). A musical festival that takes place in the Forum Park, next to the sea. A wide range of groups, both independent and with a proven track record, take part in any genre. Although pop, rock and the most underground electronic music trends predominate. Here you will find all the programming and how to get your ticket. You will enjoy! We look forward to you enjoying spring and these activities in our city. 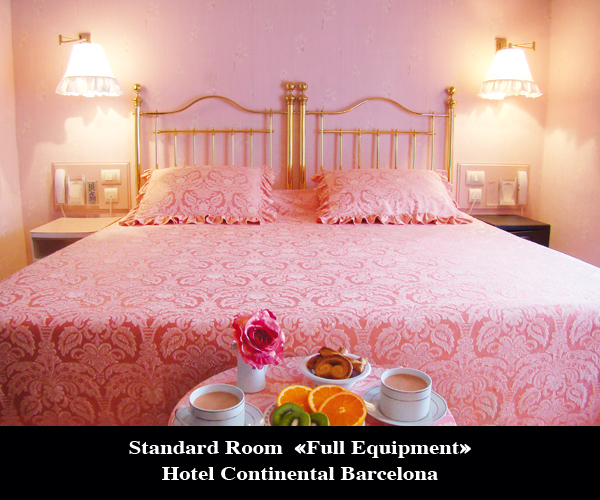 We will be happy to advise you more widely and to make your stay with us, at the Hotel Continental Barcelona and Hotel Continental Palacete truly unforgettable.